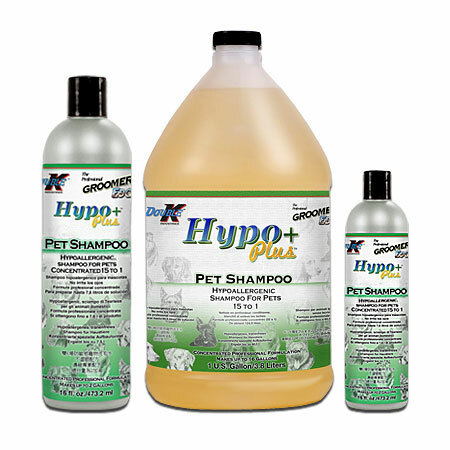 HYPO+PLUS™ professional, hypoallergenic shampoo is gentle, plus super rich and luxurious! Deep cleans all coat types and is especially great for kittens, puppies or those with sensitive skin. HYPO+PLUS™ is fragrance free, all natural, and pH balanced for animals. Special formula leaves the coat feeling clean and fresh over a longer period than most other shampoos. Natural formula is great for dogs, puppies, cats, kittens, and all companion and farm animals.